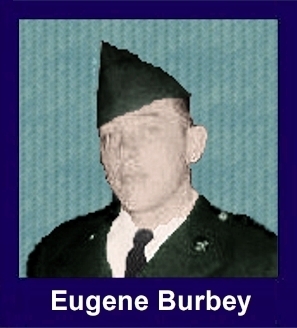 The 35th Infantry Regiment Association salutes our fallen brother, PFC Eugene Leroy Burbey, who died in the service of his country on September 22nd, 1969 in Not Applicable, Vietnam. The cause of death was listed as Malaria, Died at Walter Reed. At the time of his death Eugene was 22 years of age. He was from Kenosha, Wisconsin. Eugene is honored on the Vietnam Veterans Memorial at Panel 18W, Line 124. The decorations earned by PFC Eugene Leroy Burbey include: the Combat Infantryman Badge, the National Defense Service Medal, the Vietnam Service Medal, the Vietnam Campaign Medal and the Vietnam Cross of Gallantry with Palm Unit Citation. For the performance of exceptionally meritorious service in support of the United States objectives in the counterinsurgency effort in the Republic of Vietnam. Through his outstanding professional competence and devotion to duty, he consistently obtained superior results. Working long and arduous hours, he set an example that inspired his associates to strive for maximum achievement. The loyalty, initiative, and will to succeed that he demonstrated at all times materially contributed to the successful accomplishment of the mission of this command. His performance was in keeping with the best traditions of the United States Army and reflects great credit upon himself, his unit, and the United States Army.